Texas A&M Softball welcomes sixth-ranked Florida to the friendly confines of Davis Diamond for a three-game series beginning Friday. 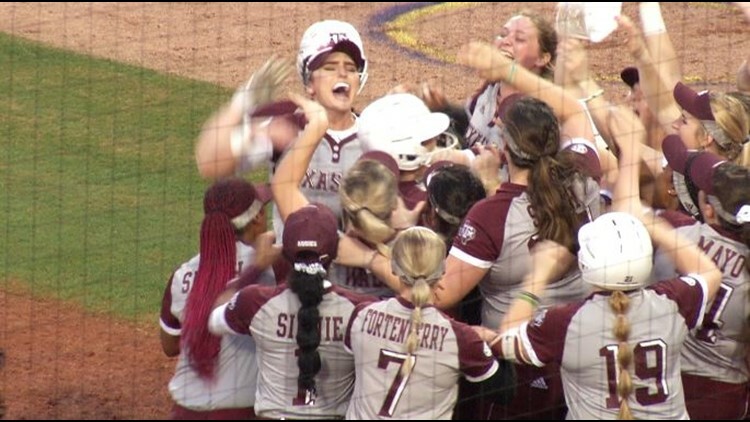 COLLEGE STATION, Texas — Texas A&M Softball welcomes sixth-ranked Florida to the friendly confines of Davis Diamond for a three-game series beginning Friday. Louie Belina and Chris Southard bring the action to listeners on Willy 1550 AM in the Brazos Valley and online at www.12thMan.com. Florida (33-9, 6-6 SEC) is led offensively by Amanda Lorenz and Kendyl Lindaman, who are batting .410 and .378 and have tallied over half the Gators’ total home runs entering into the weekend. Kelly Barnhill holds a 22-6 ledger in the circle with a 1.35 ERA.